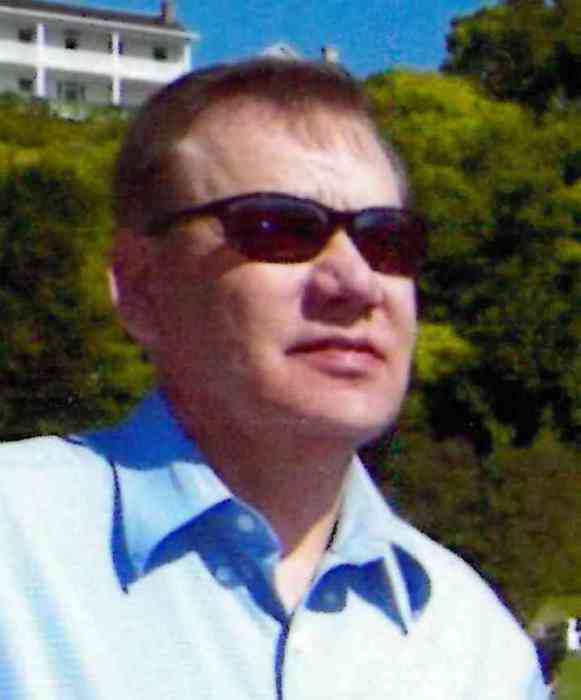 Raymond John O’Dell, 62 of Gaylord, passed away on Thursday, February 7, 2019 at the University of Michigan Medical Center in Ann Arbor. Born on August 2, 1956 in Mt. Clemens, Ray was the son of Vincent and Helen (Cuthbertson) O’Dell. After his parent’s death’s when Ray was young, he grew up under the care of his older brothers, Donald (Mary Jane) and Lawrence (Carol). On May 6, 1978, Ray married Evelyn Sitkiewicz in Gaylord and they had two sons, Michael and Gregory. Ray graduated in 1974 from Gaylord High School. He worked at the Gaylord airport doing various jobs and had an interest to obtain his private pilot license and enjoyed what he had conquered. He went on and worked at the shell gas station and then for Freds Garage as a mechanic. He advanced on to working with large farm equipment and truck driving for Kitchen Farms. There he spent many years and accomplished many jobs as the farm grew. He built equipment and a potato bagger in which was patented from his knowledge. He worked so hard for what he loved doing and to care for his family, with health issues he had to leave. After many years to sustain with changes, he became blind and went to Blind School in Kalamazoo. He joined the commission for the blind program and became a business entrepreneur. Thru the program Ray managed a business at the State Library in Lansing and with opportunity went on to The House of Representatives in Lansing as well. He operated a cafeteria with four employees and his wife. It was a very rewarding venue to be across from the State Capital and to have senators, representatives, state employees and the governor’s staff to be his customers. Another opportunity became available and Ray chose to have a large vending business in the Grand Rapids area and Southwest Michigan. Ray was elected board member for part of his time with the program and was nominated as operator of the year. He retired in 2017 due to health. The most important part of his life was ten years ago when he went to a bible study class his son was teaching and asked to give his heart to the Lord. With that, many personal changes became evident. He was prepared for his eternal home with God. Anyone who knew Ray was blessed for his love. He was a humble man, with strength and endurance. As we say our final goodbye to you, we are making this about you. We are joyous for your eternal resting home but our hearts are sad to lose you. We love you. Surviving is Evelyn, his wife of 40 years; his sons, Michael (Sherri) O’Dell of White Lake and Gregory (Karie) O’Dell of Lapeer; grandchildren, Holly, Hoyt and Adilyn O’Dell; a sister, Ilene Ruhrman of Richmond; brothers, Donald (Mary Jane) O’Dell of Gaylord and Ronald O’Dell of Richmond; sisters-in-law, Marlene (Rob) Peterson, Darlene Sitkiewicz both of Gaylord and Lucy O'Dell of Clinton Township; brothers-in-law, Al (Roseanne) Sitkiewicz and Leonard (Rita) Sitkiewicz both of Gaylord; and several nieces and nephews. Ray was preceded in death by his parents; brothers Lawrence and Robert O’Dell; his mother and father-in-law, Peter and Anna Sitkiewicz; a sister-in-law, Diane O'Dell and brothers-in-law, Chester and Richard Sitkiewicz. Ray’s family will visit with friends from 11:00 AM-1:00 PM Tuesday, February 12, 2019 at Gaylord Community Funeral Home & Cremation Service where funeral services will follow at 1:00 PM. Ray will be interred in the spring at Fairview Cemetery.